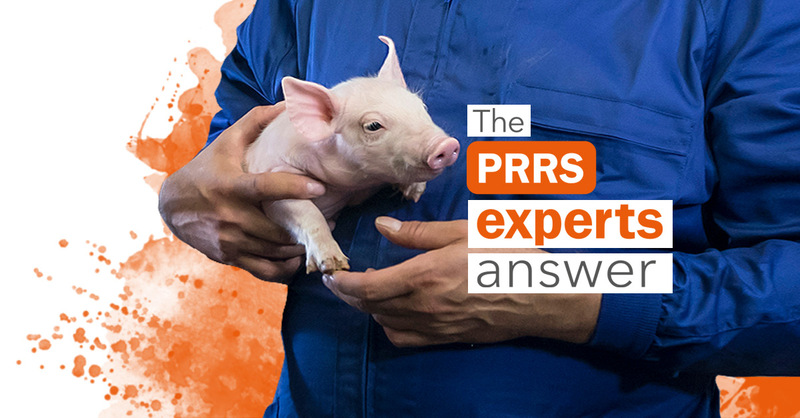 How does PRRS virus situation worsen with environmental stress? During changing season, great temperature difference between day and night can make PRRS virus situation worse? How can environmental stress be minimized during the changing season? 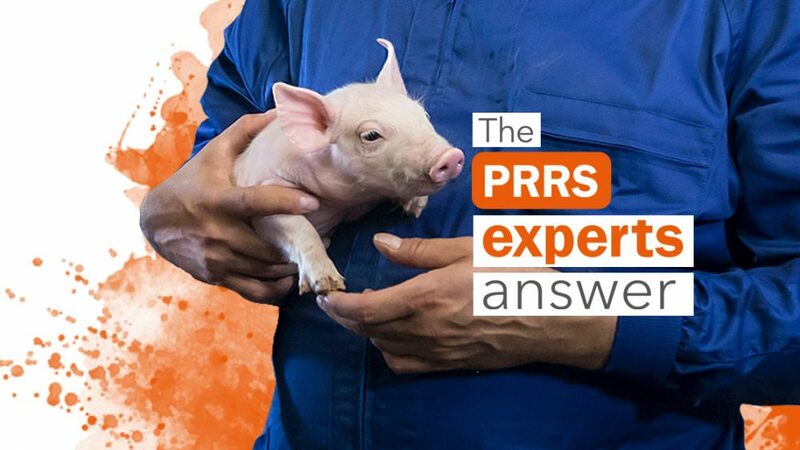 As many other infectious agents, PRRS virus will benefit when stressors are affecting the pigs as their immune capacity will be reduced, thus helping the virus to infect. Some published work describes the most severe increase in nursery mortality rate occurs in winter months confirming also the interaction between PRRS virus and environmental factors (Stevenson et al., 1993). How can environmental stress be minimized? Unfortunately, we do not have many options when trying to minimize the adverse effect of environmental stress, rather than establishing the best possible climate conditions. One possible way to reduce the problem in nurseries and finishing barns is to set up room temperatures a little bit higher. In general, room temperatures are closer to the lower critical temperature with the objective to reduce heating cost but when heating is not needed, why should we ask for so low temperatures? 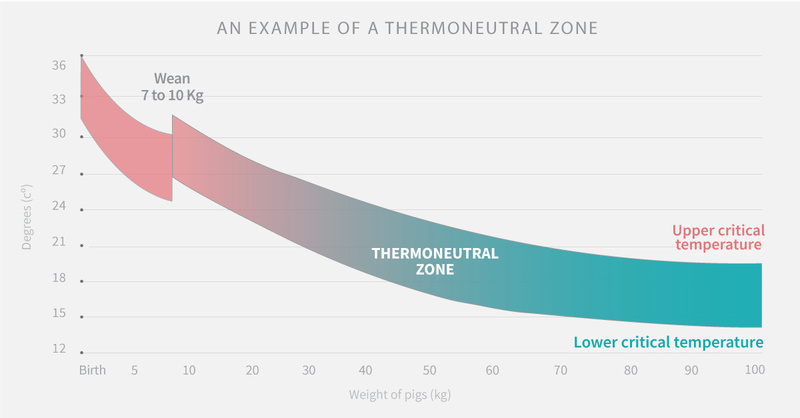 Raising a little room temperatures will reduce ventilation (it is important to set up a minimum ventilation correctly) increasing piglet comfort as pigs will be comfortable inside a thermo-neutral zone. Figure 1. An example of a thermoneutral zone. Source: Managing Pig Health, a reference for the farm. 2nd Edition. 2013. Ch. 3, Pg. 114. When natural ventilation is in place, the same concept can be applied, but then it is important to ensure a minimum ventilation by having an indirect ventilation (ceiling openings). But we cannot forget to have a good insulation. During cold seasons thermal differences between walls and inside air will reduce the thermal sensation of the pigs. For example a difference of 3 degrees between walls and inside air will reduce pig thermal sensation in 1.5 degrees Celsius.